SCHEDULED CASTES (SCs), Scheduled Tribes (STs) and Other Backward Classes (OBCs) are under-represented in the upper rungs of the government and its central universities. 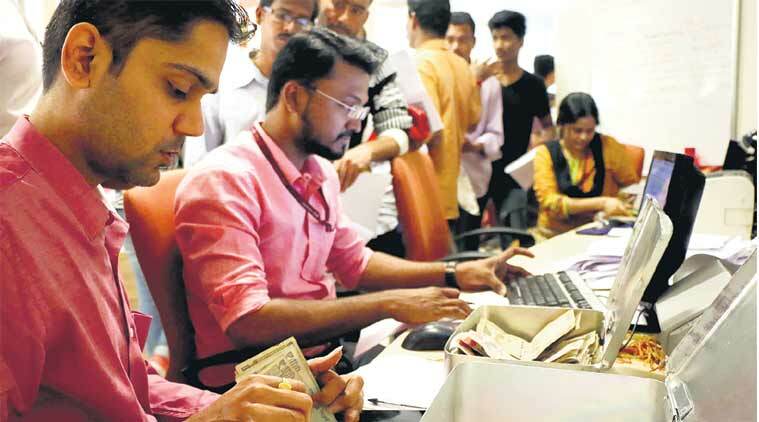 But there’s a glimmer when it comes to major public sector banks and undertakings, with banks based in the south leading the way in ensuring reservation benefits, according to data obtained by The Indian Express under the Right To Information (RTI) Act. 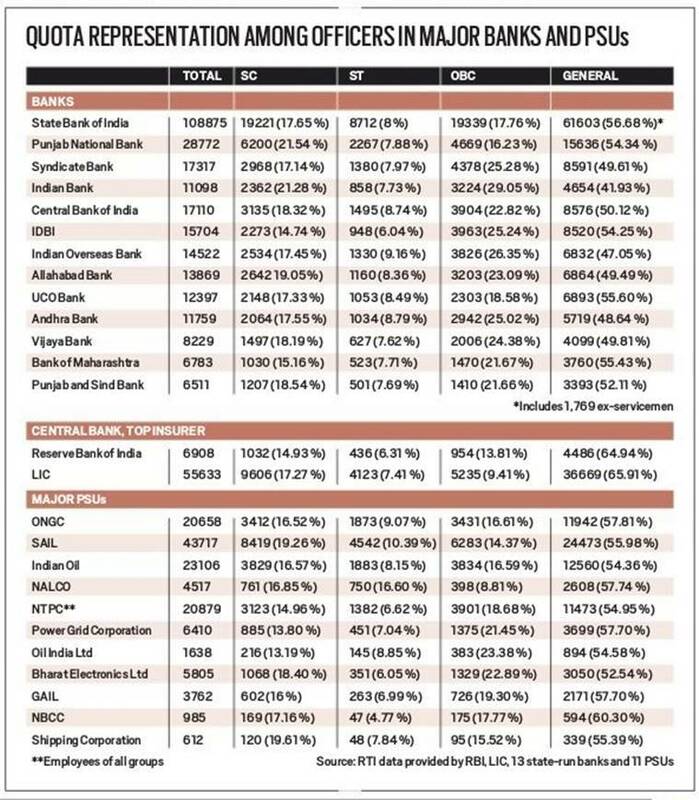 The State Bank of India (SBI), the largest public sector bank, has fulfilled the quota entitlement for SCs and STs among officers (see chart below). And among PSUs, aluminium major NALCO has almost double the quota of ST officers — the prescribed reservation entitlement is 15 per cent for SCs, 7.5 per cent for STs and 27 per cent for OBCs. The State Bank of India (SBI), the largest public sector bank, has fulfilled the quota entitlement for SCs and STs among officers. However, the Reserve Bank of India (RBI), the central banking institution, is seen lagging behind in these quota categories for officers. As the new 10 per cent quota for the poor among those who are not beneficiaries of reservation got the President’s nod, The Indian Express reported Wednesday that SCs, STs and OBCs are not adequately represented among Group A and Group B officers in the central government.